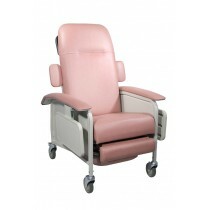 Geriatric Chairs, commonly referred to as Geri Chairs, are designed to have a comfortable, non-clinical look and feel. 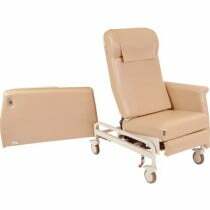 The chairs are often used in dialysis and oncology centers where blood is drawn and drugs are administered and in facilities caring for seniors. 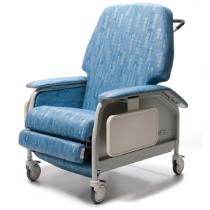 This approach in design helps the patient or resident feel at ease since it gives a more home-like feel with added comfort since it is used for longer periods of time. 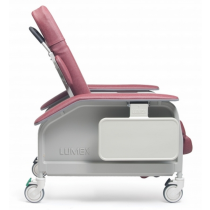 Providing optimal comfort in a relaxed environment can make all the difference for an individual receiving treatment or care. 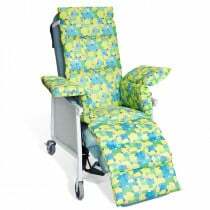 Geri chairs are very different than transport chairs for this reason. 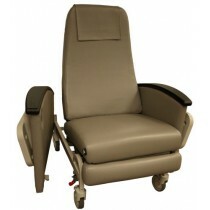 They are extra roomy and comfortable with padded seating and deep reclining capabilities. 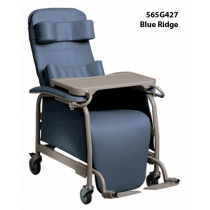 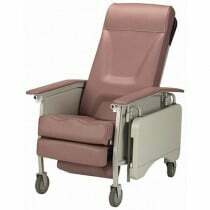 In addition, Geri Chairs offer other important features to assist seniors or patients with limited mobility. 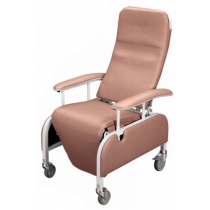 Many clinical chairs have self-adjustable reclining positions with a leg/foot rest to properly elevate the legs for comfort while promoting leg circulation as well. 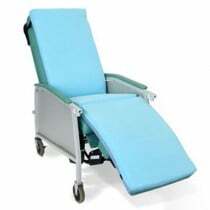 Some chairs achieve the Trendelenburg position which is a reverse position where the head is lower than the feet for more blood flow to the head. 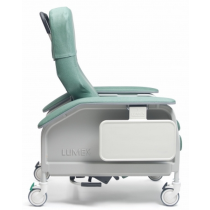 This position is helpful for individuals with hypotension, abnormally low blood pressure that can cause dizziness and fainting. 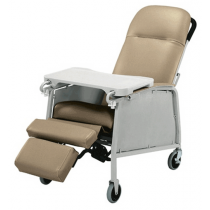 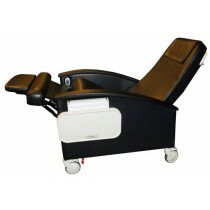 These specialized reclining chairs also feature contoured arms and a tray located on the front or side of the chair giving them access to meals, books or any personal or leisure items to occupy their time during lengthy treatments. 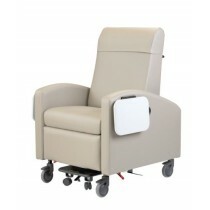 These features allow them to watch TV, read or rest in total comfort. 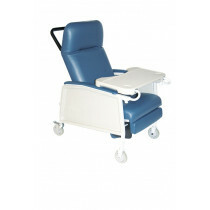 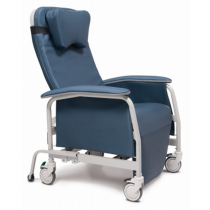 The majority of clinical or treatment recliners are upholstered in a durable protective vinyl that's easy to clean which is very important in healthcare environments where blood is collected. 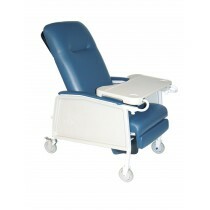 It guards against bloodborne pathogens and growth of fungus, mold and mildew. 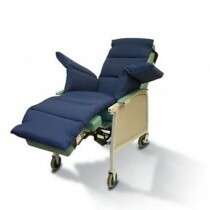 The vinyl aids is gentle against the skin and is important in preventing pressure sores. 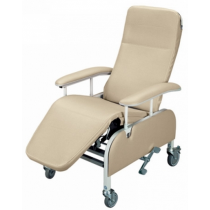 Caster wheels are a standard with Geri Chairs to make patient transfers easier when patient has very limited mobility. 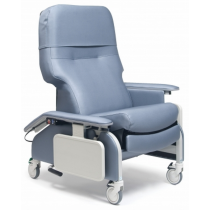 In addition, chairs with a swing-away arm feature gives full access the patient for a safer transfer from a bed or wheelchair.